If you are reading this, then you either have the Samsung Galaxy S7 or are thinking of getting one, but you’re not sure what this great smartphone can do. Keep reading and you will discover what Samsung’s latest creation can really do for you. Have you ever grabbed your S7 just to see what time it is? Or maybe you have, but every time you do that you are killing your battery. 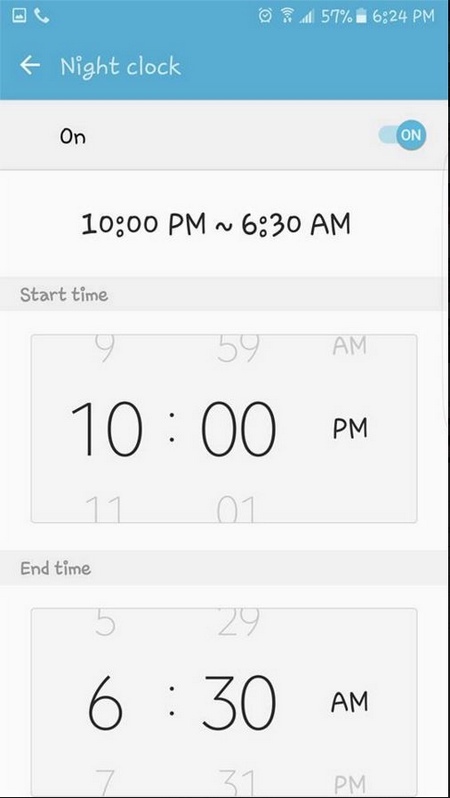 With the following tip, you will always have access to basic information such as the time on your Galaxy S7. 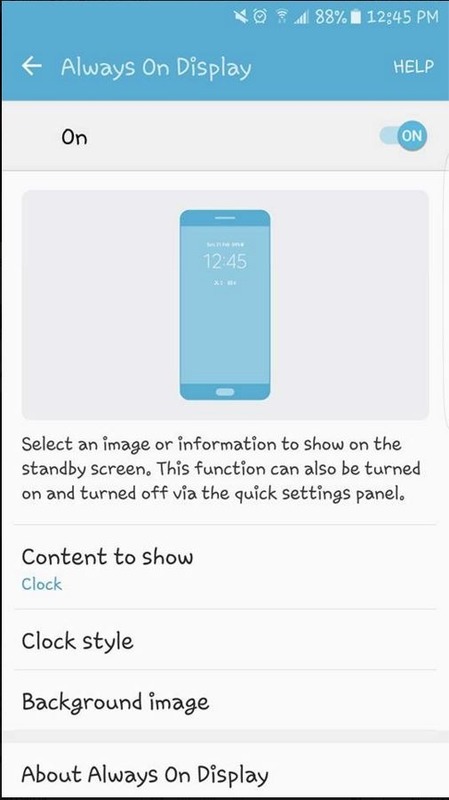 Go to “Android Settings -> Display -> Always On Display” and from there you can choose to have either the Clock, Calendar or an image. If you decide to have the clock always on, you will see that you have quite a few options, but if you are choosing an image, then I’m afraid that your options are limited there. 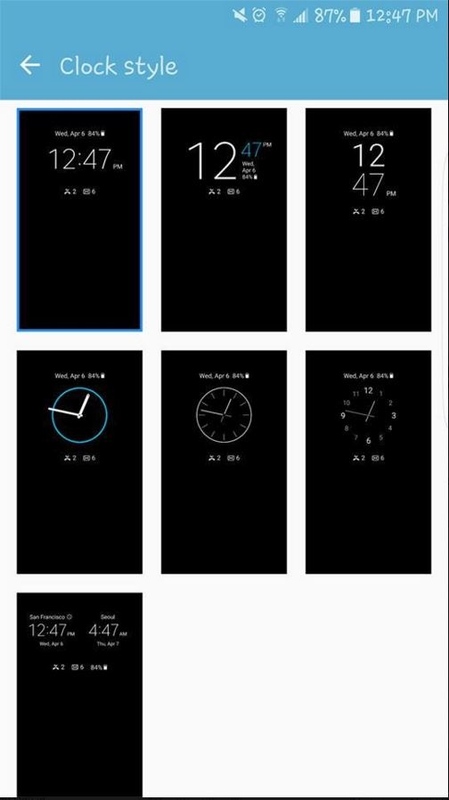 The ones you can choose from will be based on a black background, to avoid battery drain. It’s something we see with every smartphone, Samsung phones included. That annoying bloatware seems to be everywhere, but with the Galaxy S7 you can eliminate some of it, but not all. Choose the minus symbol that apps have on the upper right-hand corner. Confirm your selection when the pop-up appears. It can be a little time-consuming looking for a particular option if you are not sure where it is exactly. 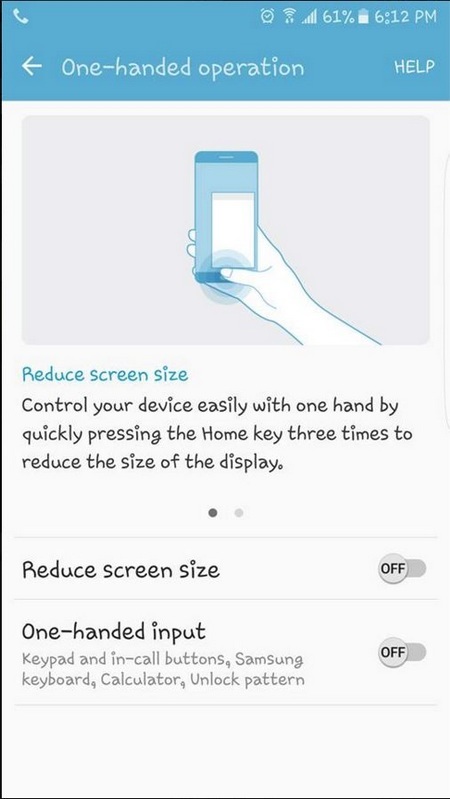 With this tip you can put the settings you use the most right at the top for easy access. 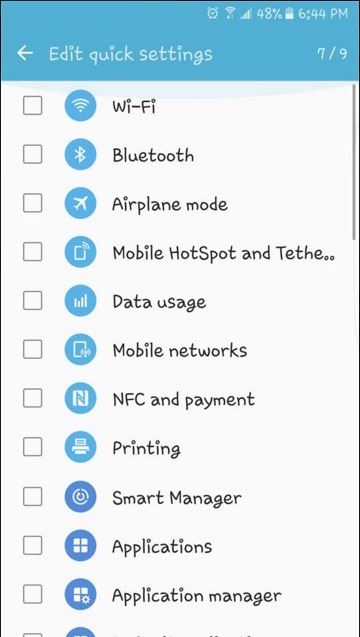 Go to Settings -> Edit (in the upper right-hand corner) and choose up to nine settings by checking or unchecking the ones you want or don’t want. 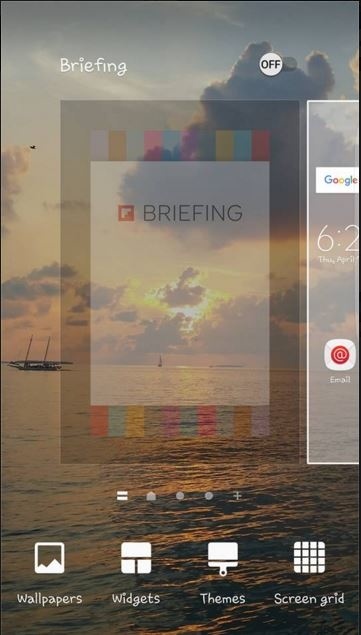 Removing the Flipboard briefing panel will help you save some battery life, and if you don’t use it it’s going to be a relief not seeing it anymore. If you have enabled it, you should see a grey half or semi-circle on your screen. To start using it, tap on the semi-circle to bring it to the top, and drag the icon from the menu to the Windows to open it. We love big screens, but they can be a little difficult to handle with just one hand. To make managing your Galaxy S7 Edge easier give the following tip a chance. Now you can control the entire display since the screen will shrink to the right, but you can slide it over to the left thanks to the arrow. In this menu you can also move the keyboard to the side to keep everything within reach. How to create folders: Drag and drop an app on top of another, and the folder will be created automatically. To withdraw an app from a folder, long-press the app and just drag it out. 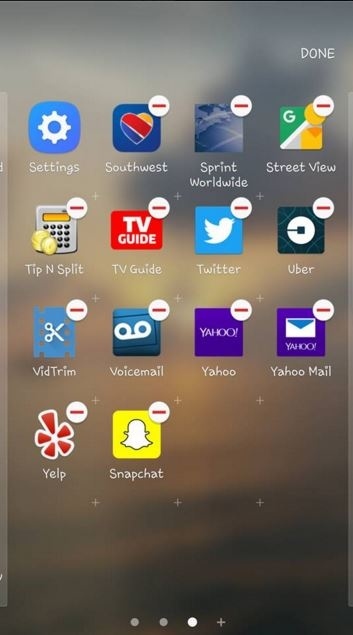 Apps in alphabetical order: Go to the Apps tray and tap on A-Z at the top. If you download new apps later on, you will need to repeat this since the new apps will be added to the end of the alphabetized apps. Disable notifications for an app: Settings>Applications>Applications Manager>Select app of interest. In notifications, you can disable all of the notifications for an app. The Samsung Galaxy S7 Edge is a fantastic phone that has impressed many since it is full of great features that make our lives easier. Are you enjoying your Galaxy S7 Edge or are you thinking of getting one? Let us know in the comments.